Each year, parents and children alike look forward to summer vacation, a time free from tests, homework and busy schedules. And yet, at some point between the end of school and Labor Day, kids are bound to utter that dreaded, two-word phrase: “I’m bored”. Stay-at-home and working parents alike can avoid the inevitable by keeping kids active and engaged through a miraculous invention known as day camp. Day camps let kids learn a new sport or skill, improve an existing one and make new friends. The Cape Cod Baseball League offers summer clinics for boys and girls ages 5 and up. 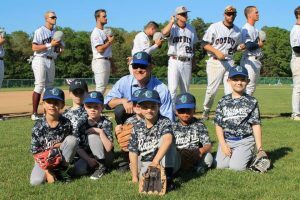 Top coaches and collegiate players from the Yarmouth-Dennis Red Sox and the Cotuit Kettleers teach campers fundamental baseball skills as well as good sportsmanship, citizenship and character. Little leaguers can attend a home game during their clinic week and take the field with their team during opening ceremonies. Cape Cod Baseball League players often move on to the majors; your camper’s counselor could very well be the next Fenway superstar. Campers get creative through a variety of offerings from the Artists’ Exchange summer camp program. 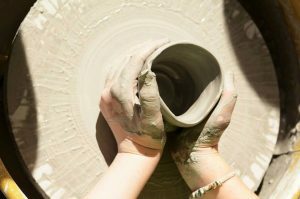 ‘Upcyclemania’ lets campers explore their imagination using recycled materials while ‘Learn to Throw’ teaches the basics of mastering the pottery wheel. Your budding thespian might enjoy ‘3 Days of Improv’ or learning how to craft, write, direct, design and present their own one act play in ‘From Write to Lights’. The camp offers extended care hours and parents can earn a 20% discount by donating five grocery items for the camp’s annual fundraiser. Nothing compares to the sense of pride and achievement that comes with learning to sail. Sailing helps build spatial awareness, sense of direction and confidence. The Portland Yacht Club hosts the largest junior sailing program in Northern New England. 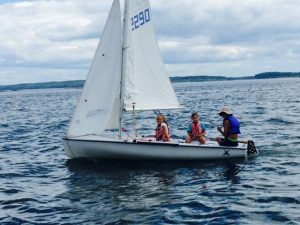 Children ages 6-18 can learn the fundamentals of sailing through learn-to-sail lessons, adventure sailing or a travel race team. Spots fill up fast so don’t miss the boat! Campers can fly, dance, tumble, juggle, kick, punch and play at the Go Nina Circus Summer Camp. 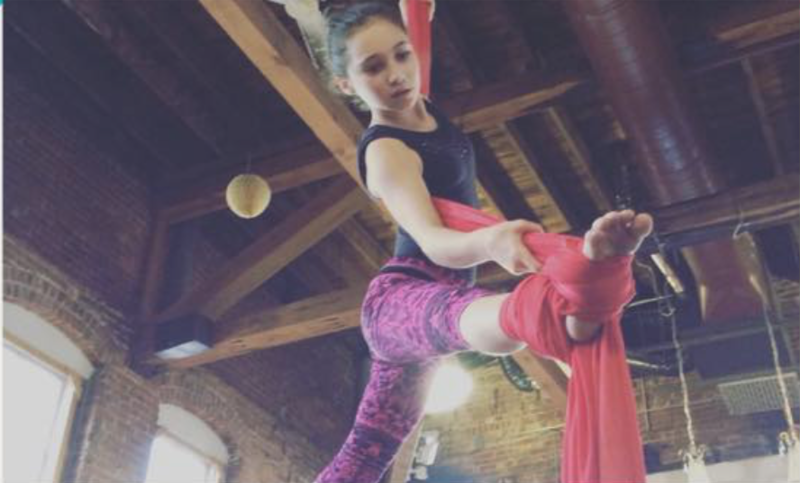 Children 6-16 learn aerial circus arts, parkour, acrobatics, martial arts and boxing. The combination is a great way for children to gain strength, flexibility, coordination and self-confidence. The camp also incorporates art, music, yoga and and nutritional information to help children learn how to balance both healthy bodies and minds. Renowned sports company Adidas has been a partner of professional tennis for more than forty years. Each summer Adidas sponsors tennis camps throughout the country to teach children of all abilities “the sport of a lifetime”. Located on the historic grounds of Choate Rosemary Hall, children ages 8-18 can improve their game while working with top college coaches, college players and former professional players in a fun, supportive environment. 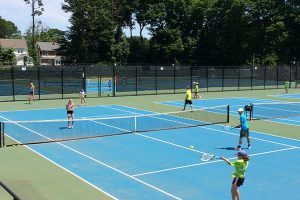 Whether your child is completely new to the sport or is a seasoned player on the tournament circuit, the Adidas Tennis Camp is dedicated to individual improvement for every camper. Vermont’s Vershire Riding School has been nurturing young horse enthusiasts for nearly 50 years. 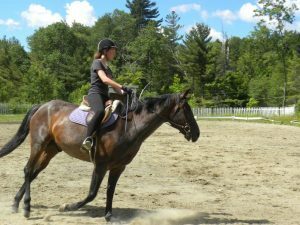 Situated on 400 acres of beautiful Vermont terrain, the school offers week long intensive Eventing Camps, open to young adults interested in gaining more experience in Dressage, Cross-Country jumping and Stadium jumping. Co-ed and girls-only camps are offered for children ages 9-17. Campers must know how to walk, trot, and canter and have some jumping experience. Additional activities such as swimming, art, sports, tennis and music are offered during free time.